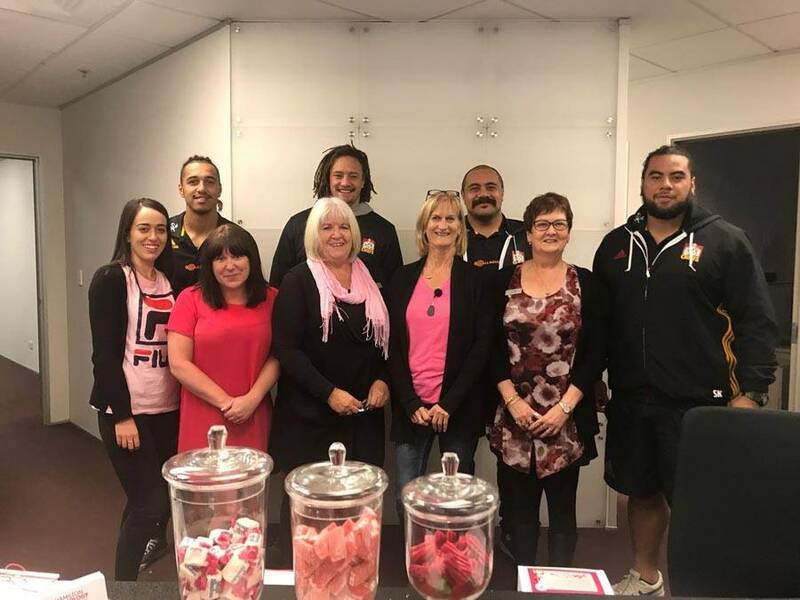 Today for manaakitanga, we got into groups and ventured out into our community to spread kindness and carry on the great work from Pink Shirt Day Aotearoa last Friday. We visited the passionate Tegan Way, a brave six-year old girl from Forest Lake Primary School who has been making a stand against bullying, helping to drive Pink Shirt Day at her school after writing a letter to her principal to organise it. It was great to be able to visit Tegan and her class, and offer her and her classmates all tickets to our game against the Waratahs tomorrow evening! 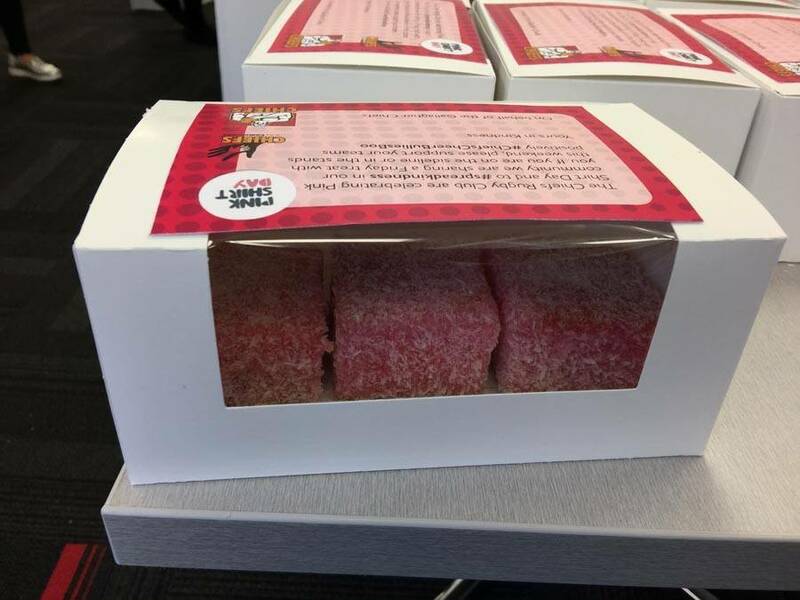 We were also able to deliver some specially packaged pink lamingtons to the teachers and staff. We also spent the morning visiting a bunch of randomly selected valued members with a Friday treat of lamingtons to thank them for their support and to surprise them. 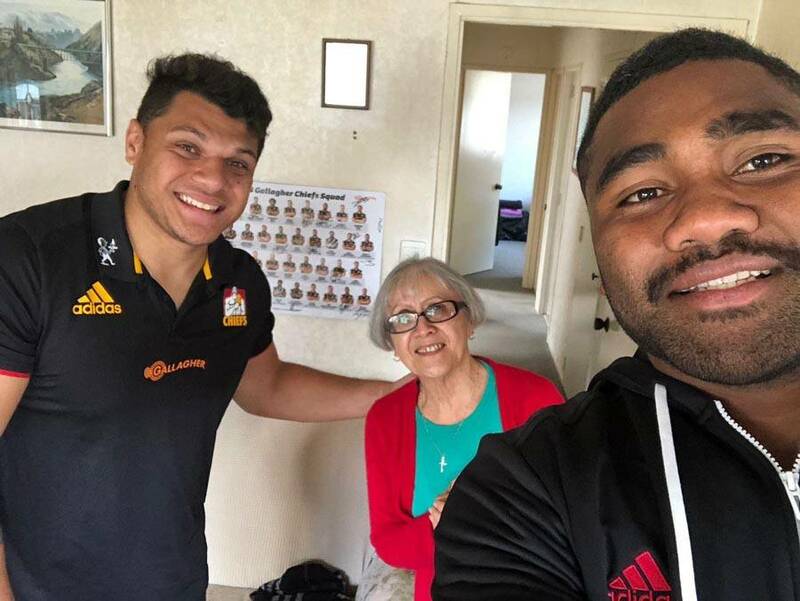 We were thrilled to be able to chat with our members and to be invited into their homes for a coffee. It was great seeing our members’ passion for the team – one member even showed us their membership cards which he’s been collecting since 1996 – now that’s dedication! 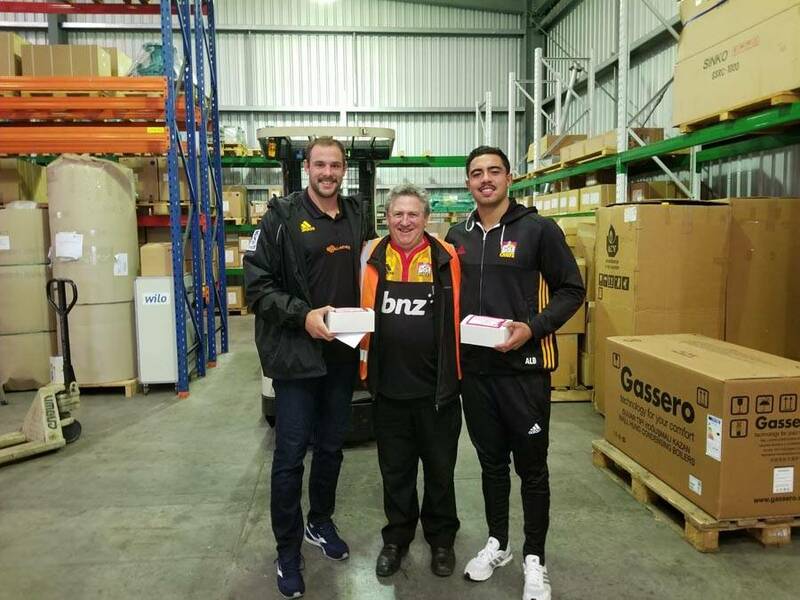 Groups of us visited three of our kind sponsors, AON, Placemakers Clarence Street and Hamilton Radiology to drop off more lamingtons to make sure the hardworking staff had something to look forward to for morning tea. We really enjoyed getting out to our sponsors and seeing the hard work they put in although Hamilton Radiology have unfortunately seen us this season a whole lot more than we would’ve liked. 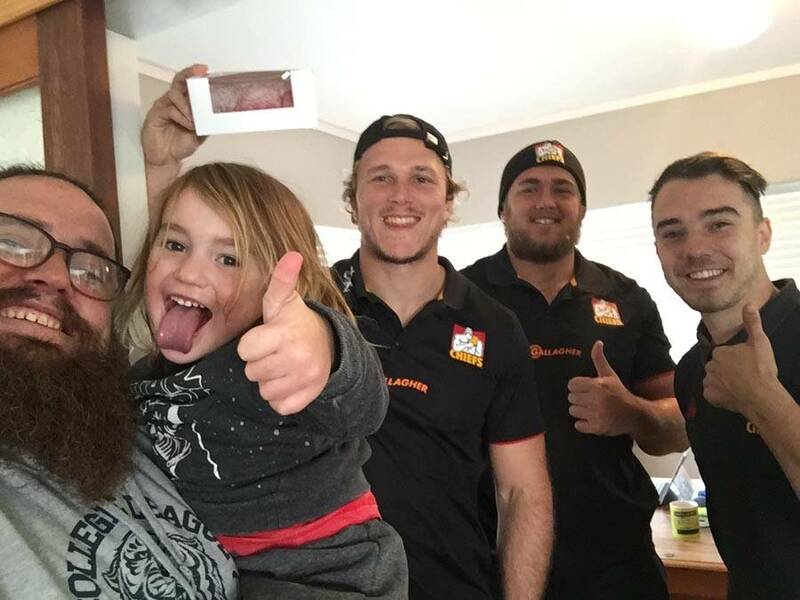 The underlying message we are trying to get through to our Chiefs Country community is spreading kindness and encouraging positive sideline behaviour across all codes at all levels. 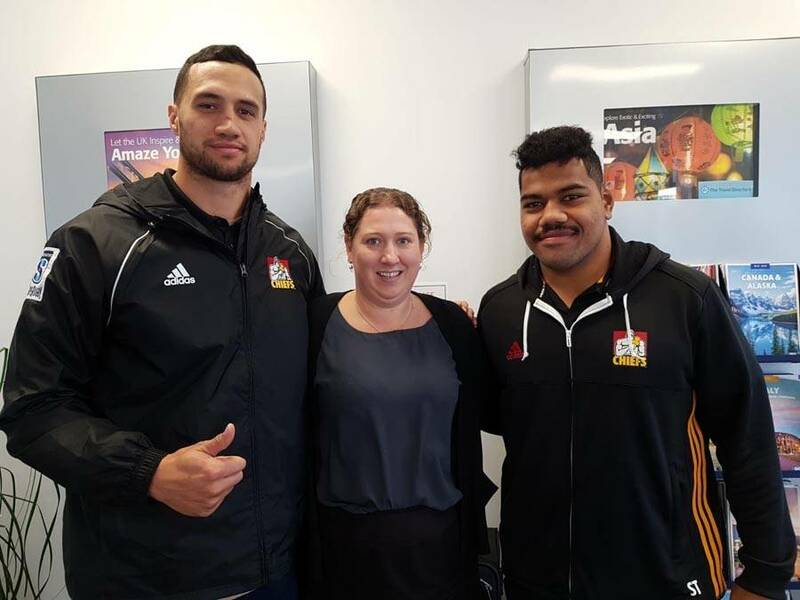 We cannot wait to play in front of a passionate crowd at FMG Stadium Waikato tomorrow evening, and we look forward to our fans leading the way when it comes to positive sideline interaction. Thanks for the support – click HERE to purchase tickets for tomorrow evening. We spent the morning visiting a bunch of randomly selected valued members with a Friday treat of lamingtons to thank them for their support and to surprise them.